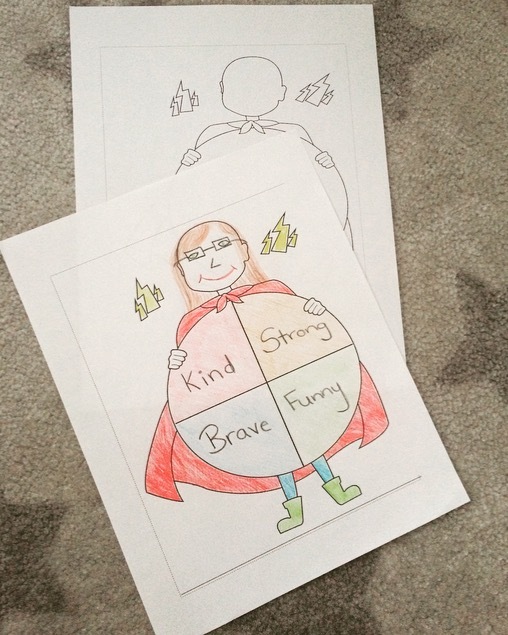 Whether you’re looking for a fun fractions activity or looking to build your students’ self-esteem, look no further :D. I’ve got a cross-curricular fractions activity that will get your students practicing both their math and writing skills. 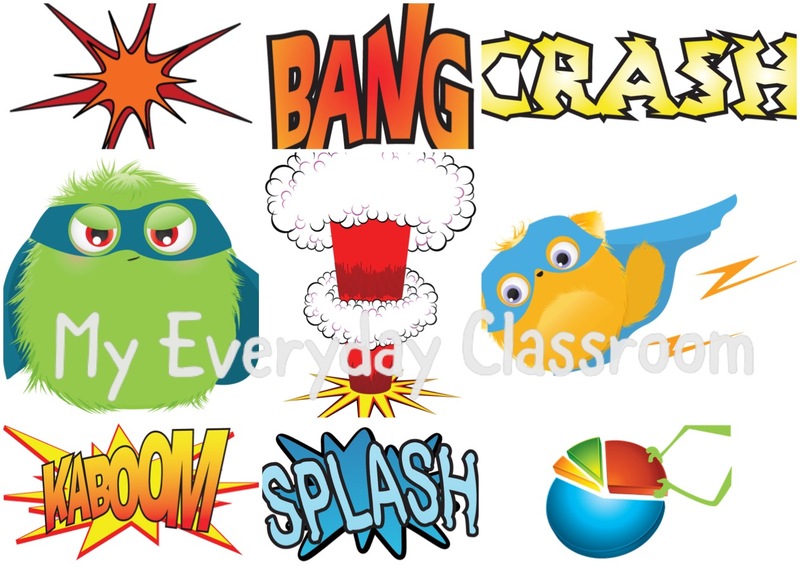 Oh, and it’s a super-hero themed activity to boot. These are the 9 included images. 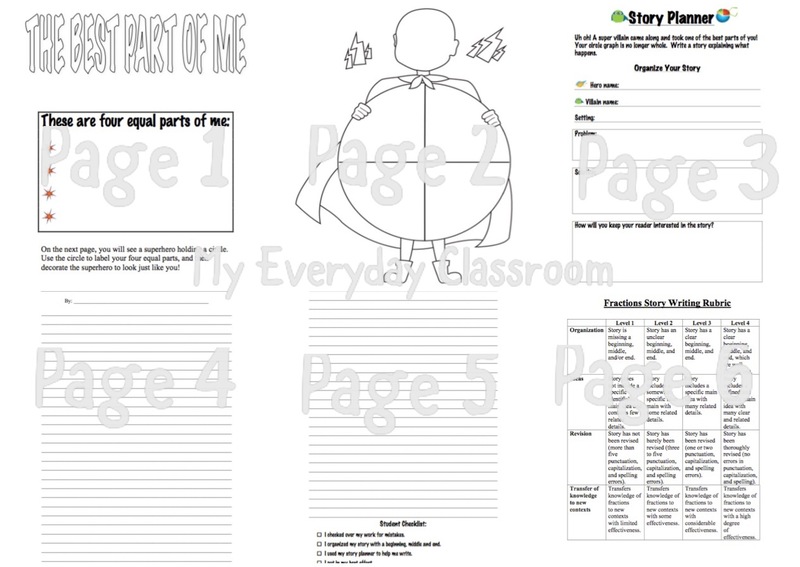 Next, students begin planning their fractions story with the following graphic organizer. 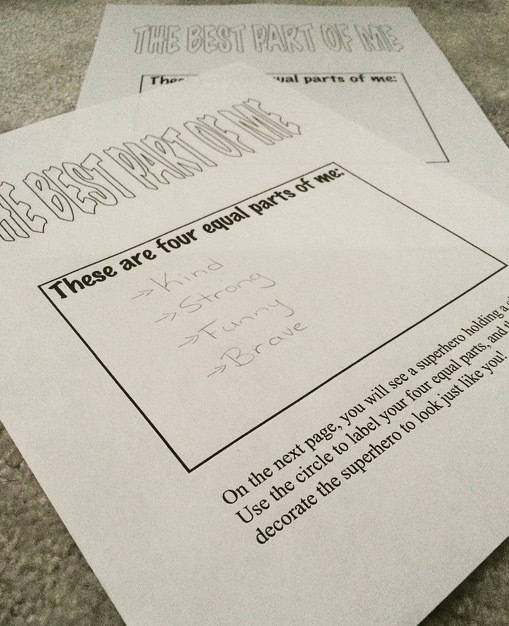 They’re asked to list the characters, setting, problem and solution in their story. 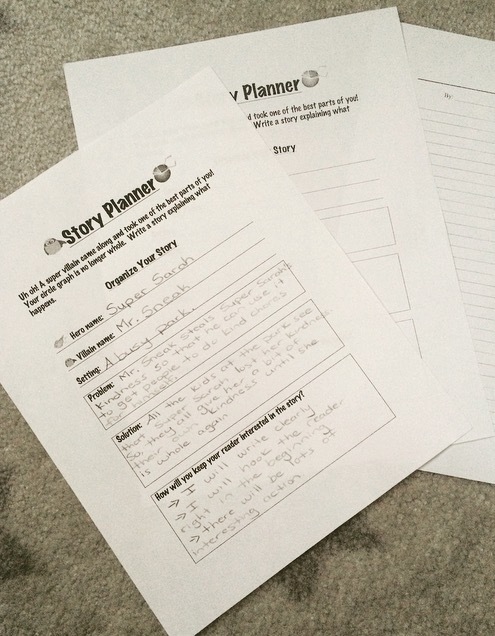 The organizer also asks students to brainstorm strategies to keep their writers interested. 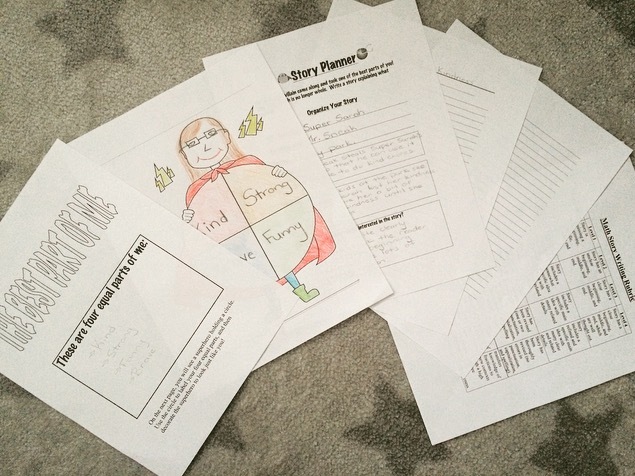 For the writing portion of this activity, the set includes 2 lined papers, one of which has a checklist to help students reach success. 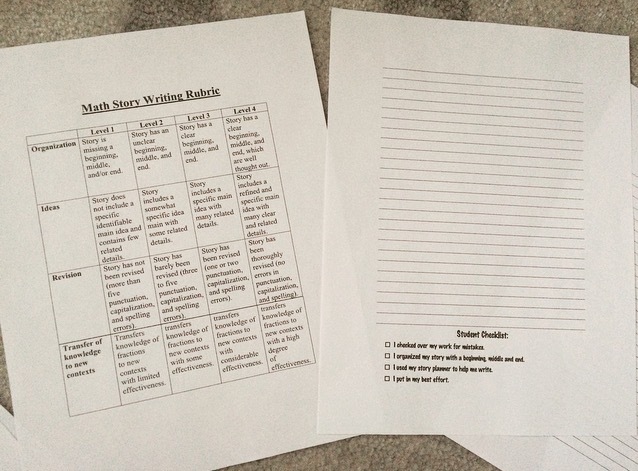 There is also a writing rubric, so that you can use this set as an assessment or way to provide students with feedback.